I admit it… I’ve got a great endocrinologist. I like my endocrinologist. There, I said it. Endos are sometimes a source of dread, or frustration, and some people wind up having to explain a lot about newer technology or drug developments to theirs because, let’s face it, diabetes changes sometimes move faster than their doctor. But I don’t experience any of that. My last appointment a couple of weeks ago included the typical A1c, and a little blood work. Cholesterol, kidney function, that kind of thing. Vital signs, download of the pump data. Everything checked out okay, though I’m carrying around slightly more calcium than I should be. Who knew you could have too much? We spent the rest of the time talking about a clinical trial I’m considering, about insulin pricing, and about a recent NBC Nightly News story on a family that peruses Facebook groups to find insulin their child needs, trading insulin their family’s insurance covers but their child is allergic to (“I wish some of my patients would ask about freebies… I have lots of samples!”). Yes, she told me that she wished more of her patients would ask about insulin samples, if that’s what we’re even calling them now. Funny, I didn’t think to ask why she doesn’t suggest freebies for her patients. I’ll put that on the list to ask her next time. We talked about starting on my Dexcom, since I was only about two weeks in when I saw her the last time. I told her, honestly, that wearing it on my arm has made it seem far less intrusive than if it were in my midsection. Which, by the way, is part of my trepidation of doing this clinical trial, because I’d be required to attach both the pump and the CGM around the middle of my body for the duration of the study. I also mentioned that the CGM has given me real confidence that my basal rates are still very good, because once my trend graph lands in a good place, it tends to stay there for hours at a time. “But you’re going to let me know if you start training for something again, right? I remember that’s when you’ve had real trouble in the past”. We also talked about Dexcom Share. I don’t have an Apple phone, or a Pebble watch, and I’m not sure if the G5 is compatible with that anymore. We don’t agree on everything. But I trust her judgement enough that when she suggests something, even if I have questions, there’s a pretty good chance I’m going to do it and do it with gusto, because I trust her judgement that much. Working with a medical team you can trust means a lot. The give and take between patient and doctor is a relationship that requires a fair amount of nurturing. And it’s changed over the two and a half decades I’ve been living with Type 1 diabetes. But when it works out, the end result is terrific. It happens when both sides of the conversation engage freely and openly. It’s really great being with People With Diabetes, because they just get it. I consider myself quite lucky because I have an endo who gets it too. If you can’t talk about diabetes with another PWD, or your endocrinologist, who can you talk about it with? 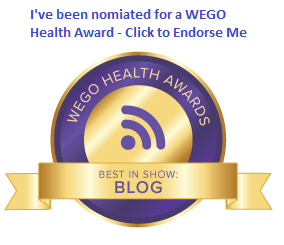 I feel like I’m healthier, and making better, more well informed decisions than I’ve made under any other medical care team, endocrinologist or not. Finding people who help you with your diabetes and your diabetes knowledge are worth the effort. YOU are worth the effort. And I support you… no conditions. « What good is new technology if you can’t pay for it? I could not agree more. I really appreciate that my endo values my input and trust that I know what I’m doing. I also appreciate that he doesn’t judge, because I judge myself enough already. I’ve been really disappointed in my diabetes management lately, but he didn’t lecture me at all when I was there on Monday. I am so happy to have my endo. He was the first and for some time the only doctor I trusted. I am a healthier person because he came into my life. He smiles more becuase I came into his. This is so AWESOME that u and ur endo have a great relationship & ur totally right that when this happens it results in good things. I LOVE my medical team and it has taken years for me to assemble just the right dr’s and specialists who can work together as part of a team. I’m psyched that this is your experience with ur endo!! Congrats! !